Whether you’re home later than expected, ingredients in the fridge are looking seriously thin or you just can’t be bothered- here are some awesome 20-minute or less meals to make for kids. Some of these are super simple but all will get the job done in a hurry. If you’ve got a Nutribullet or something similar, whiz up an egg, some feta, a handful of spinach, dip some bread in it and cook it as if you would french toast! 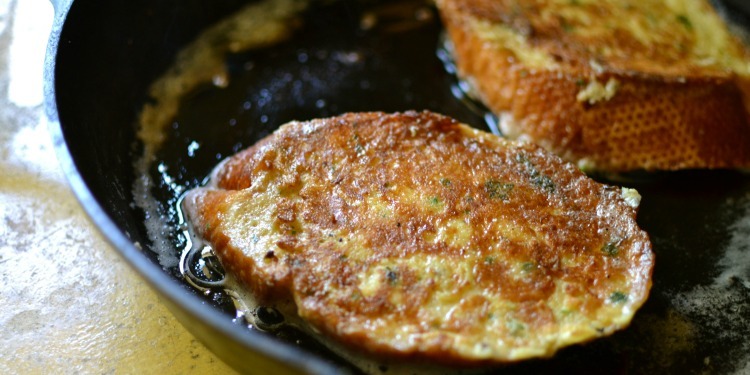 Pretty Yummy Foods has an awesome recipe for savoury french toast topped with a poached egg. Can even be done in a microwave- add cheese, sour cream, corn, some chives and whatever else you like! 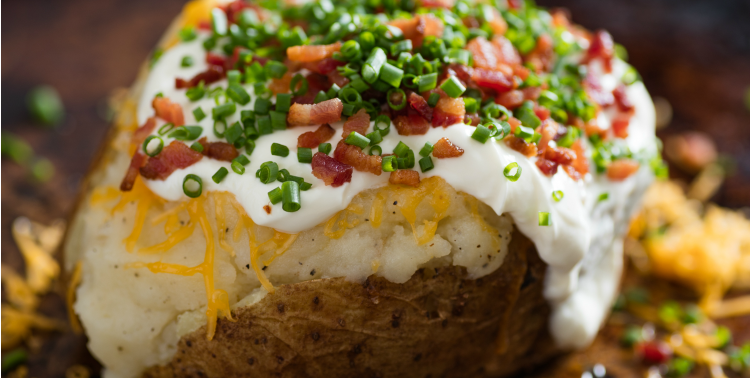 Serious Eats shared a great recipe that will make sure your baked potato doesn’t turn out bland. Everybody’s got a couple of tins of tuna in the pantry. Some lettuce/green leaves, maybe chopped boiled egg, cucumber, tomato, olives, green beans, anchovies (if your kids can handle them) or whatever other veggies that will be tolerated. You can use balsamic vinegar as the dressing or an oil, vinegar and mustard mixture. Taste has added boiled potato to their recipe too, if you have the time. Stir fries are quick, easy and can really be made up of any combination of veggies in your fridge. You can use any meat (beef is a popular choice), chuck in frozen veg, noodles, packet sauce if you have it or a chicken broth/soy sauce mix if not, and voila! A quick wok meal. Pan fried salmon is a real quickie! Steam it for a healthier option. 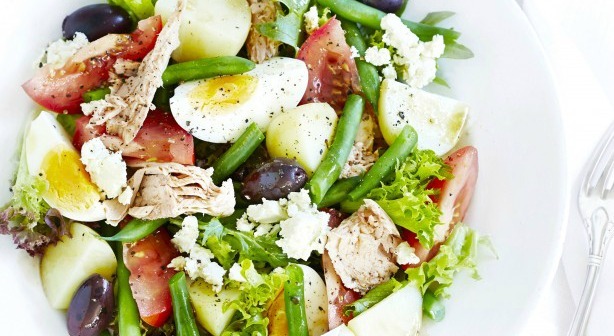 Have with fresh lemon juice, a simple side salad or even some oven roasted chips. You can even cut the salmon up and add it to a bigger salad for a truly healthy option, as About Salmon Recipes has done. Boil some sweet potatoes for about 15 minutes until tender yet firm. Chop and mash once their boiled. Whisk together the sweet potato with baking powder, pinch of salt and nutmeg, 2 eggs, 1.5 cups of milk, & 1/4 cup of butter. Cook until golden brown and serve with some avo and smoked salmon, and even sour cream if you have it. Delicious, and won’t take much longer than 20 minutes if you work quickly. RR. Spink & Sons offers a great recipe with a touch of sweetness- sweet potato pancakes with smoked salmon, greek yoghurt and maple syrup. Delicious! While your BBQ heats up, slice some haloumi, and veggies such as zucchini, capsicum, sweet potato, etc. Drizzle in lemon juice and olive oil before throwing it on the barbie. Flip all the thinly sliced pieces over after a few minutes. Serve with tinned tuna or some nice bread if you wish. 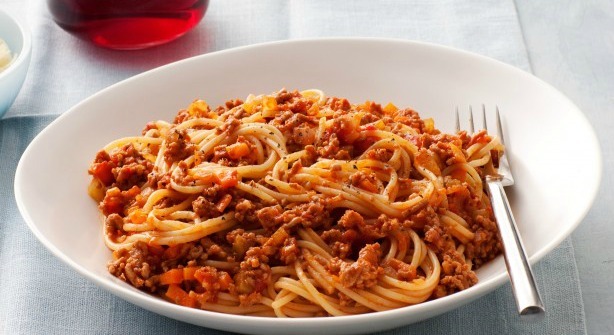 Taste offers a delicious pistou sauce recipe to go with it. Don’t be fooled- omelettes aren’t just for breakfast! Whisk 2 eggs, a tablespoon of water and some salt and paper. Fold in any combination of things! Cheese, ham & bell peppers is a nice combination, or cheese, mushrooms and spinach. Omelettes are a sneaky and tasty way to get in a few good servings of veggies to your child’s dinner- Betty Crocker share a recipe for an omelette literally bursting with vegetables. These are always a hit, and are ready in a jiffy. Spread smoked salmon, mayo, sour cream, dill and salt and pepper over a piece of wheat tortilla, and wrap it up tightly. If you want something more substantial, try sliced roast beef with cheese (brie tastes amazing with roast beef! ), tomatoes, rocket, mayo, and just about anything else. Wraps really can make use of any veggies and protein you find in your fridge. Betty Crocker has 14 great wrap recipes if your fridge is looking pretty stocked. What mum hasn’t made spag bol in a hurry? This is another one that can hide a plethora of veggies. We like taste’s recipe where you heat oil and cook onion, carrot, celery and garlic for 5 minutes, before adding the mince. Add tomato paste or jar sauce, oregano, nutmeg and a sprinkle of salt and pepper. Meanwhile, cook the pasta in salted water. Drain, and spoon the sauce and mince combination over it and sprinkle with cheese. Have another quick and easy recipe? We want to know! Comment below and we will add it to our list.